A plume of smoke is seen around the Notre Dame cathedral in Paris. The flames affect the tower known as "the needle" , taller than the two square- shaped front towers. The firefighters are trying to access to put out the fire without still having more data of damages and injuries. The entire area has been cut to pedestrians. 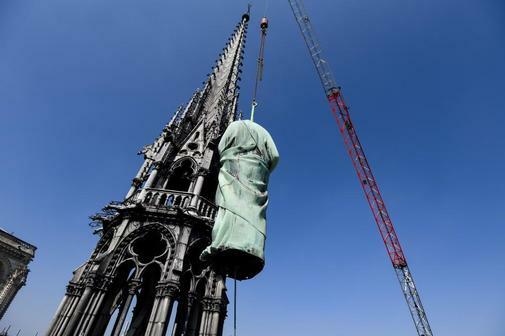 In the area works were being carried out to replace 16 bronze statues on the roofs of the cathedral.